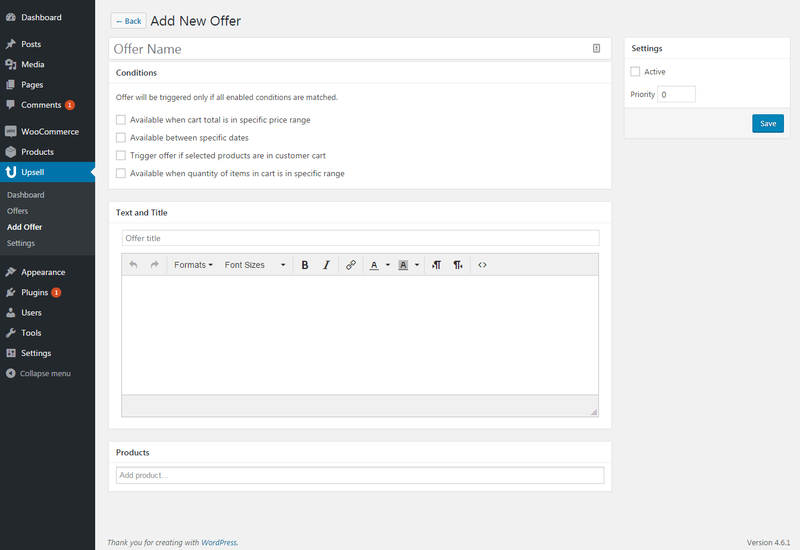 Announcing the 1.2 Update 7-13-2018 which gives you the ability to offer an upsell and cross sell based on the category of products in the cart. 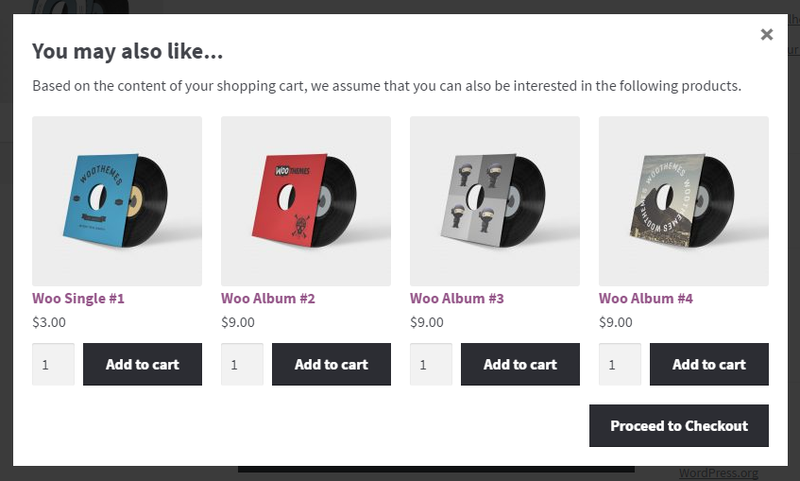 WooCommerce Unlimited Upsell gives you the ability to offer an upsell and cross-sell products at the point of checkout based on the contents of the customers shopping cart. 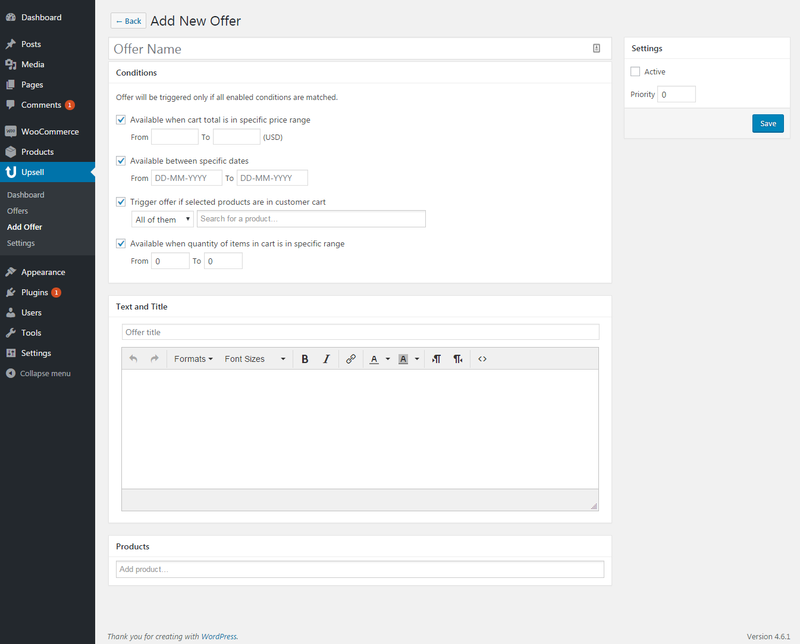 Increase the profit from your WooCommerce, stores with One-Click Upsells. 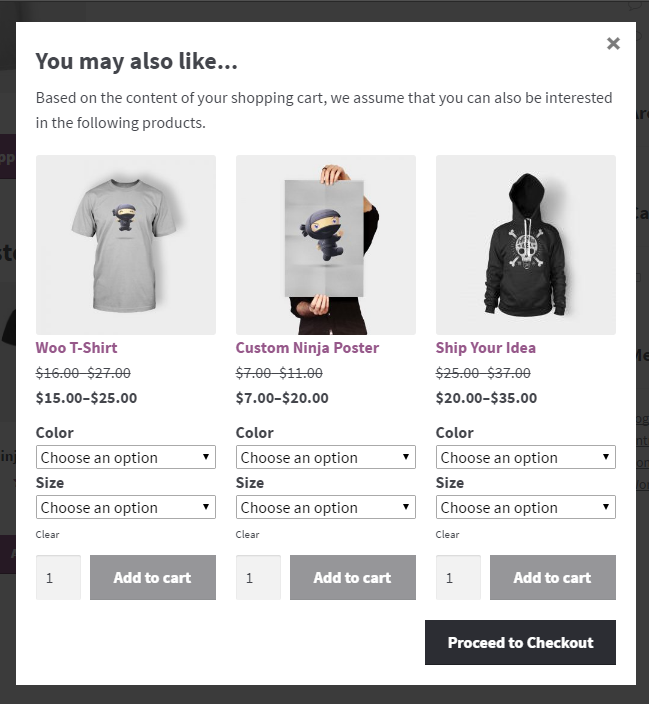 When a customer clicks the “Proceed to Checkout” button on the shopping cart page, a simple and beautiful pop-up window appears which offers the customer the ability to add additional products to the shopping cart based on their current cart contents. 1. Make the popup available when cart total is in a specific price range. 2. 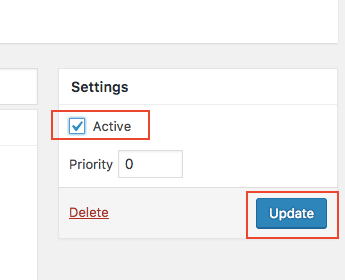 Make the popup available between specific dates. 3. 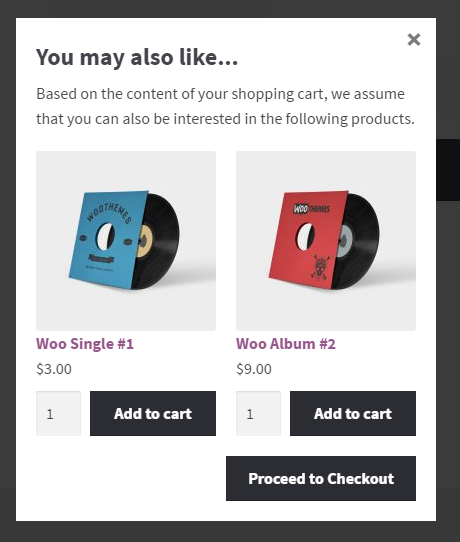 Make the popup available if specific products are already in customers shopping cart. 4. 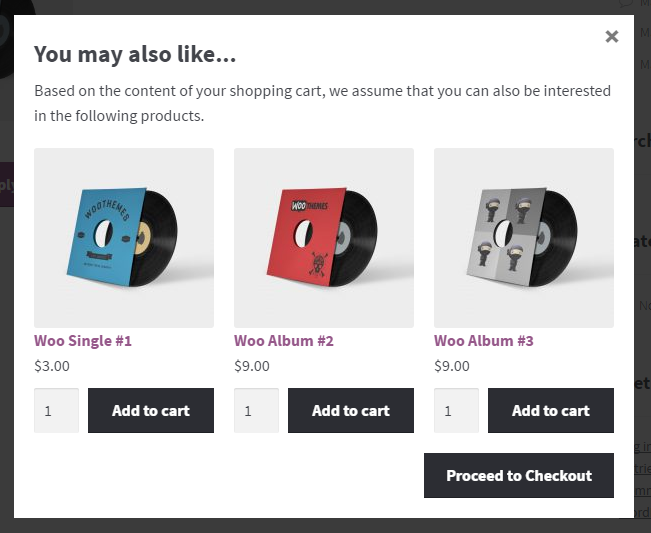 Make the popup available when the quantity of items in the cart is in a specific range. 5. 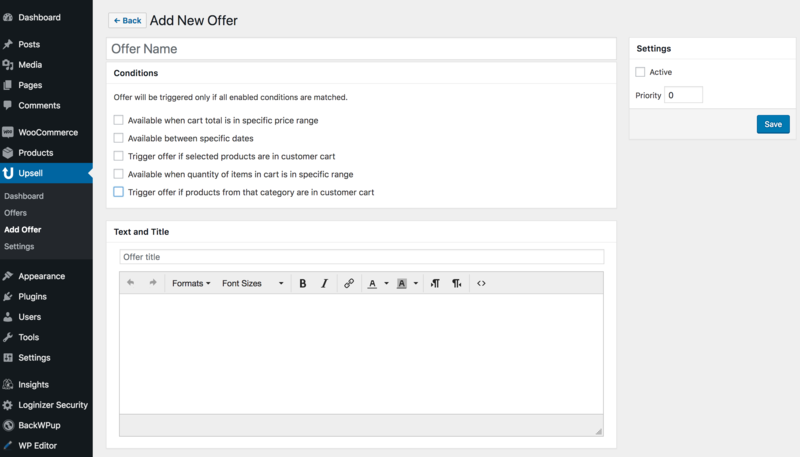 Make the popup available when products from a category are in the customer’s cart. NOTE: You can also choose one or several of these conditions, and the upsell will be triggered if all enabled conditions are matched. How do I know whats working well? 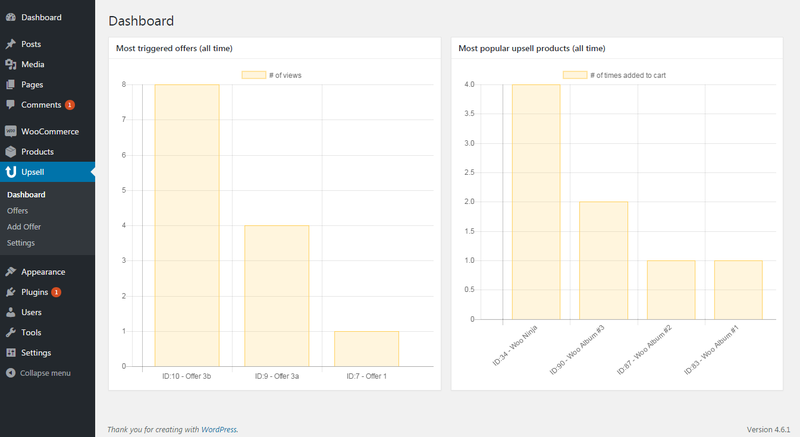 There are powerful analytics and reporting built into this product that help you determine what upsells and cross sells are working well and which are not so that you can make adjustments and generate more revenue.